The games are designed to explore a wide range of core drama skills: energy, focus, teamwork, trust, character, storytelling, imagination and improvisation. Each page features clear instructions on How to Play, notes on the Aim of the Game and advice on age range, number of players, timing and skills developed. 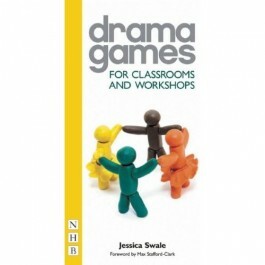 The games are also ideal for directors in the rehearsal room, searching for new ways to energise and inspire actors. Jessica Swale is a director, choreographer and drama tutor with an MA in directing from Central School of Speech and Drama. She has been Assistant Director at the National Theatre, Greenwich Theatre and the Northcott Theatre, Exeter.Berkshire.